My first post written on Chicago soil in days… To be honest, I prefer the vantage point of Caitlin’s living room. Thank you all so much for putting up with our ridiculous non-stop jabbering about each other. I will try to keep my slobbering puppy-love to a minimum, but be forewarned that there will be a few more posts to come regarding our love-fest. Sorry. But NOT sorry. This week I don’t have much to update you on, fitness wise. While in PGH (Pittsburgh, for the uninitiated. Yes, I am that cool), C and I did very little overt physical activity beyond our morning yoga class, joint phys therapy while watching trashy awesome TV, taking long walks, and running our mouths non-stop, whether it be to eat or as part of our never-ending conversations. Yesterday I got a spin sesh in, and this morning I went to Hot Power Fusion at CorePower (officially starting my Groupon) and then did triceps. My hamstring has been feeling pretty decent this week; it is obvious that walking doesn’t bother it, and it doesn’t hurt if I have to jog across the street. That said, I think that I slightly over-did it today in HPF, even as careful as I was. Unfortunately, I think that doing so was simply unavoidable. The muscle is just so tight. I’ve since wrapped it in an Ace bandage, and it feels much better that way. It’s hard to believe that I injured it 2 weeks ago, and 2 weeks from tomorrow is when I was supposed to run the Atlanta half. Boo hiss. I just hope that yoga isn’t off the table as well–both because it will have been a total waste of money and also from the only-so-much-spinning-can-one-take angle. I swam earlier this week, but let’s just say that was an exercise in mental endurance rather than physical…. 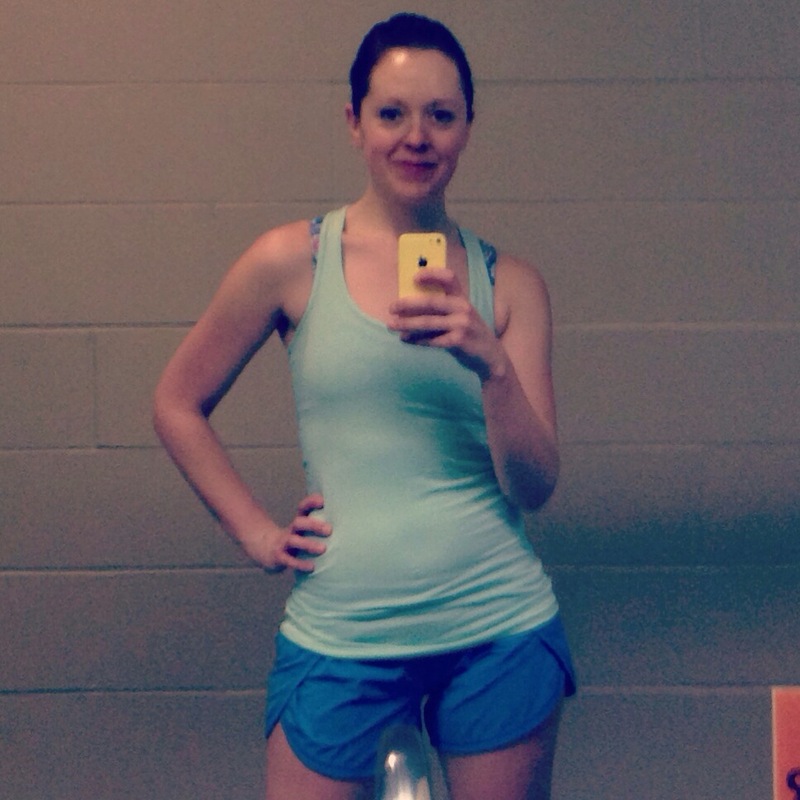 Laura ran 32 miles ON A TREADMILL and LIVE BLOGGED ABOUT IT THE ENTIRE TIME. I honestly don’t know what the most impressive part of that statement. But seriously? You. Go. Girl. Oh, wait, you know what else? She has a 12 miler on tap for today. Yes. I am stealing your thunder. Get over it. Also today? My girl and her boy ran their very first (nontraining) 5k!! She averaged under 7 minutes a mile, and he finished in the 26 min range after not running since Christmas. Plus, she rocked a seriously groovy Swirlgear shirt FTW. She is too cute. I hate her. Pickster has scads of running events on the horizon. 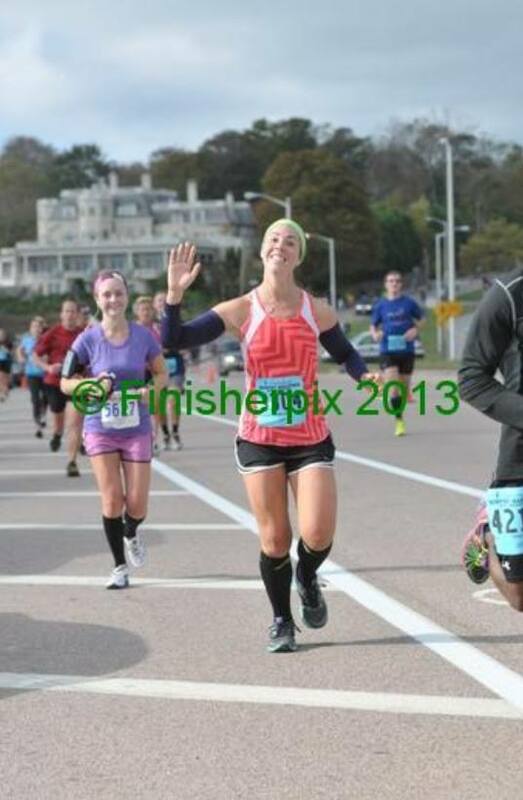 Ambassadorships galore, including a run with Runner’s World at Boston’s Heartbreak Hill. You will have the best time with the RW crew, Sarah–Bart is seriously one of the nicest and most positive run-lebrities I have come across. He adores what he does, and he just wants to share that with the world. Shameless, I know. GIVE ME THIS ONE THING. It is all I have. PS Caitlin and I both agreed that we want to do the RW weekend in Bethlehem, PA. If you know of an in, please let us know. But don’t take our spots. K? I know that so many others are doing cool and exciting things right now–spring racing season is upon us! So please use the comments to tell me about any races or events you had this weekend, last weekend, or are looking forward to in the oncoming weeks!! Edited to add: HOW COULD I FORGET! 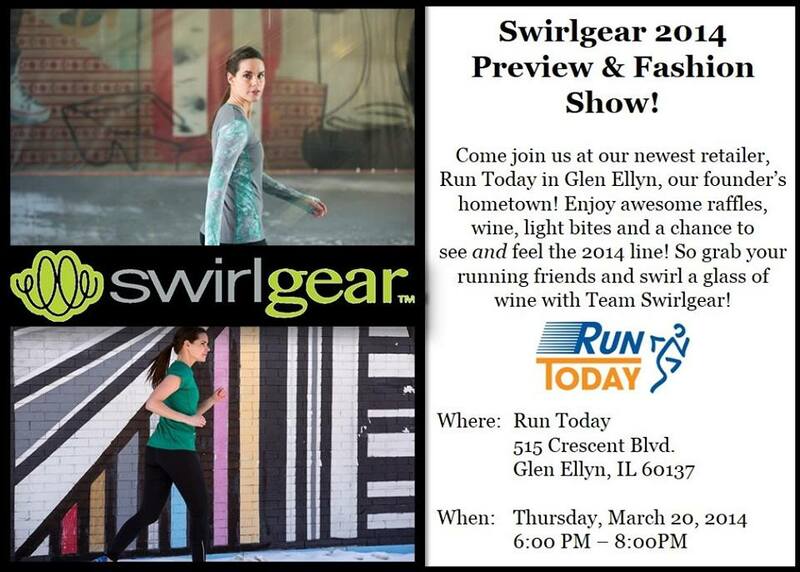 If you live in the Chicago area, Swirlgear is having a preview party March 20th in Glen Ellyn. Totallly dig this for yoga. Though Caitlin claimed that she wanted to “say hi to her friend” at the running store in Shadyside, I know her tricks. She really just wanted to torture me. I was THISCLOSE. But alas, I have no money. Also, Brooks? You are NOT HELPING when you send me an email previewing your new Heritage Line. 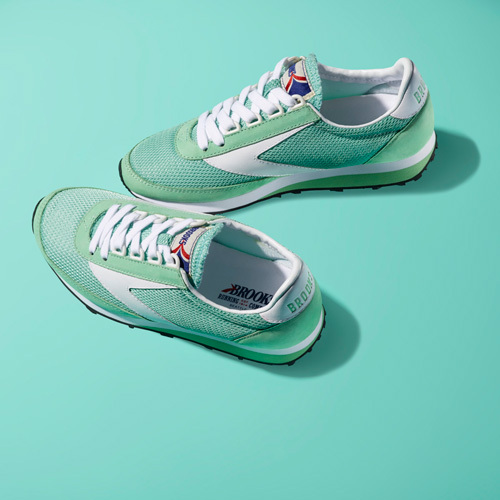 I’m not usually so retro-kicks, but the streamlined shape, the jaunty colors, and THE FACT THAT THEY ARE BROOKS are more that enough to sway me. 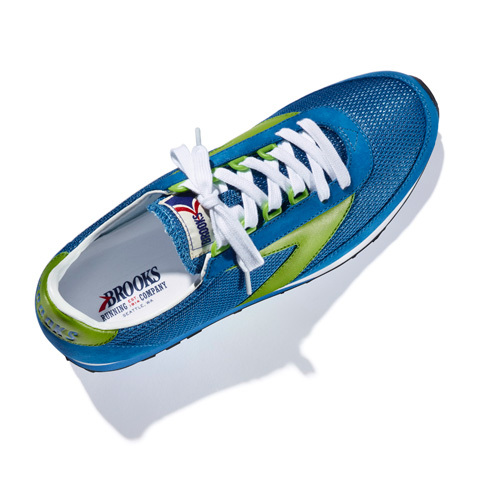 All Brooks items can be found through their online store here. So there you have it. My current covetables. Alas, I would be all dressed up with nowhere to go, and broke to boot. So for now, they will remain items of envy, especially when, as we all know, they start to show up on the “big” bloggers’ blogs as “Omg! You will never beLIEVE what I got today! Gifties from Brooks! Kewwwlll. I’ll add them to my hundreds of others!” And the rest of us will go cry in the corner. Or maybe that is just me. What are you currently drooling over, running or otherwise? TELL ME OF ALL OF YOUR CURRENT BRAGGING RIGHTS SO THAT I CAN DROOL OVER YOU TOO!!!!! Get #BosuStrong with this Full Body Bosu Core Exercise!